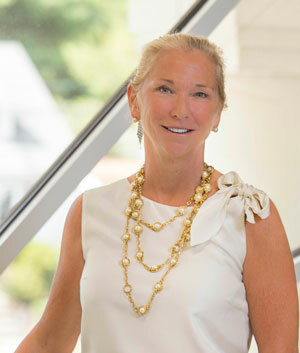 Karen Fish-Will’s career in the multi-disciplines of real estate spans more than 35 years. A licensed real estate broker and the principal of PPI’s affiliate brokerage firms in Massachusetts and Florida, Ms. Fish-Will focuses on the pre-development, development and marketing of newly-formed communities, whether created through new construction, the rehabilitation and expansion of existing communities or the preservation of historic buildings through their adaptive re-use to housing. Ms. Fish-Will is a real estate professional with an unwavering passion for and mastery of the leasing, sales and marketing process. Working in collaboration with members of the Leadership Team, Ms. Fish-Will unites marketing, leasing/sales and administrative professionals and guides them to consistently achieve or exceed client occupancy projections. She brings determination and creativity to everything she does and has successfully fostered the growth of PPI while adhering to a strict commitment to service and integrity. Designated REALTOR® Member of the Greater Boston Association of REALTORS® (GBAR), participating in the GBAR Broker-Owner Inner Circle Forum. Serves on the Board of Directors and the Executive Committee of the Greater Boston Real Estate Board (GBREB). Serves on the Greater Boston Real Estate Board (GBREB) Government Affairs Committee. Member of the Board of Directors of the Rental Housing Association (RHA) and served as a past President. Serves on the Mass Housing Community Services Advisory Committee. Serves on the Board for New Lease for Homeless Families. Serves on the Board of Affordable Housing and Services Collaborative, Inc. Affiliated with both the Massachusetts and Florida Chapters of the Community Association Institute (CAI). Member of the South Florida National Association of Realtors, the Realtor Association of Greater Miami and the Coral Gables Chamber of Commerce. Holds Broker’s License in Massachusetts. Honored with “Outstanding Women in Family Business“ Award – given by The Warren Group. B’nai B’rith Housing Distinguished Achievement Award recipient – remarkable leadership in the Real Estate Industry; providing quality affordable housing. My passion is the sea.